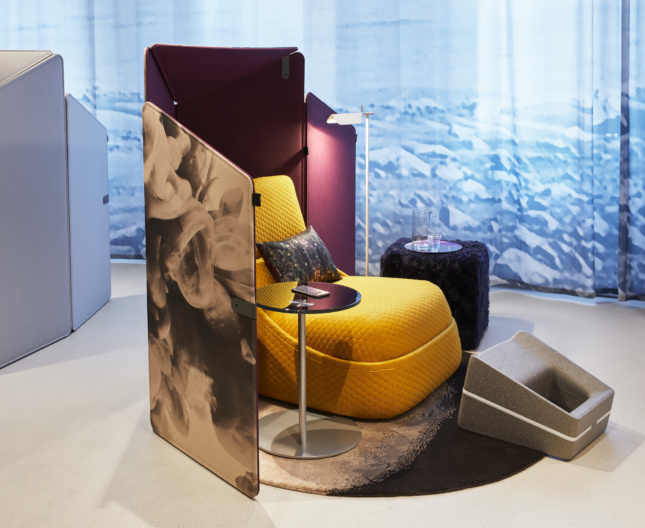 Here we present a selection of highlights from this year’s NeoCon furniture fair at the Merchandise Mart in Chicago. This year, contract furniture was comfort-driven and aesthetically-inclined, erring on the side of residential. From a sensory deprivation nap pod to custom CNC-cut geometric flooring, we leave you with some of our favorite discoveries. This purveyor of commercial flooring collaborated with Stockholm-based design firm Form Us With Love on an interchangeable flooring solution. 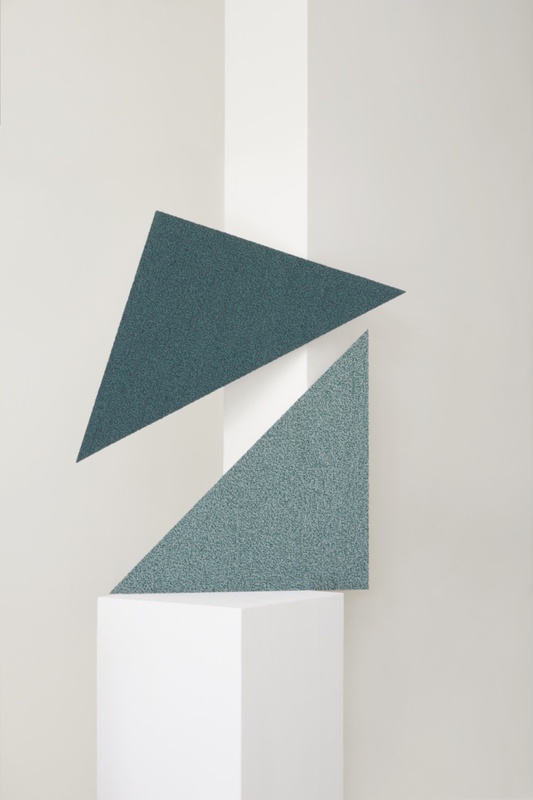 With four geometric shapes and 12 colors, the carpet tiles fit together like puzzle pieces. To visualize all the possible iterations, the interactive platform allows users to digitally design and rearrange layouts. Finnish designer Mika Tolvanen designed a thin aluminum-framed high-top work table in ode to Scandinavian wooden tables of the 1950s (e.g. Alvar Aalto’s nesting tables or Hans Wegner’s coffee tables). 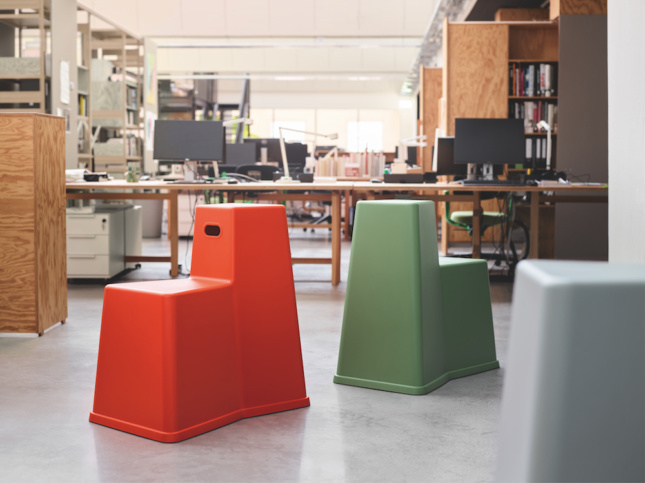 Available in two standard widths and in two heights respectively, each option is suitable for co-working, impromptu meetings, and a worktop away from your desk. 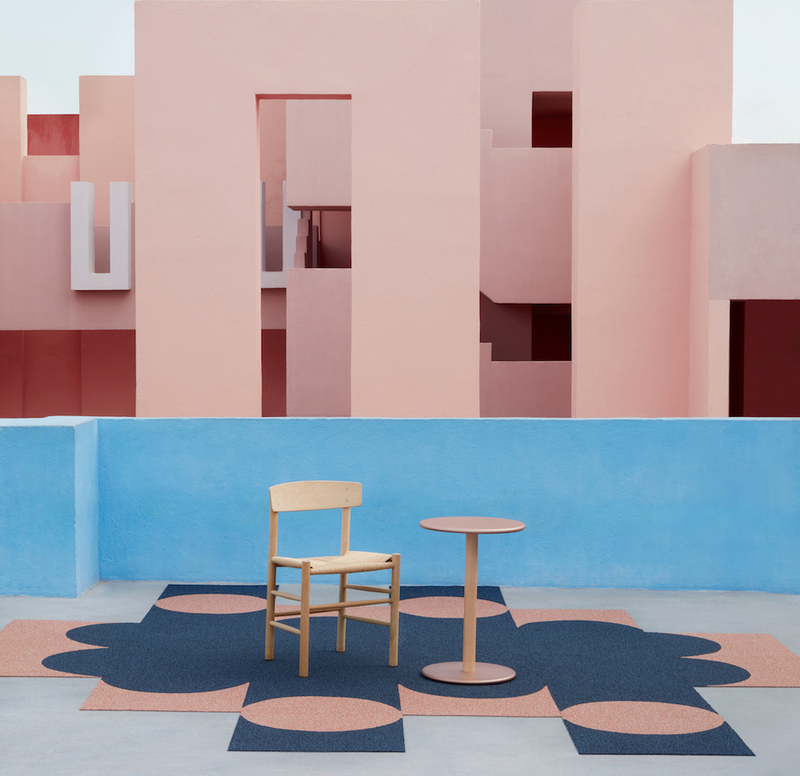 The Copenhagen-based firm Norm Architects designed a collection of seating, tables, storage and accessories for social places in the workplace. 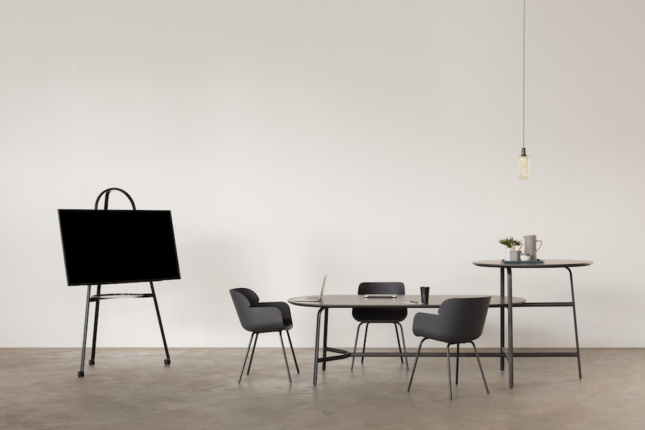 The collection includes a wheeled easel and high-low tables, and the varying heights and mobility of all the elements allow for multiple gatherings and simultaneous meetings. 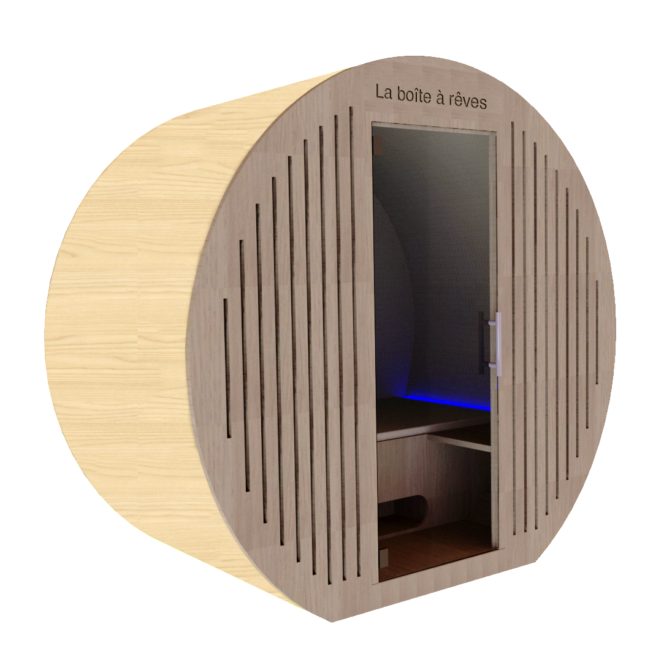 Aptly dubbed, La Boîte à rêves (The Dream Box) is a timber-clad cocoon outfitted with a touch screen-controlled audiosensory environment. Resting on a memory foam mattress and an ergonomic pillow, haggard employees can “recharge” after a 15-minute light-and-sound show in the luminous audioscape. Visual distractions can be overstimulating. As a solution, this free-standing folding screen easily clips into a partition. It is available in four sizes to create both individual and group enclosures. 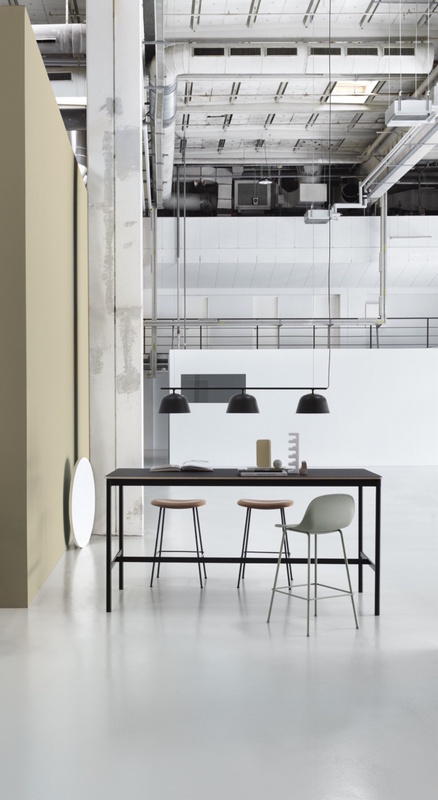 Combining the form of a chair and table, this step-like platform accommodates different seating heights and arrangements, as well as storage and worktop uses. Stackable and lightweight, this colorful plastic hybrid is outfitted with a cut-out handle for increased mobility. 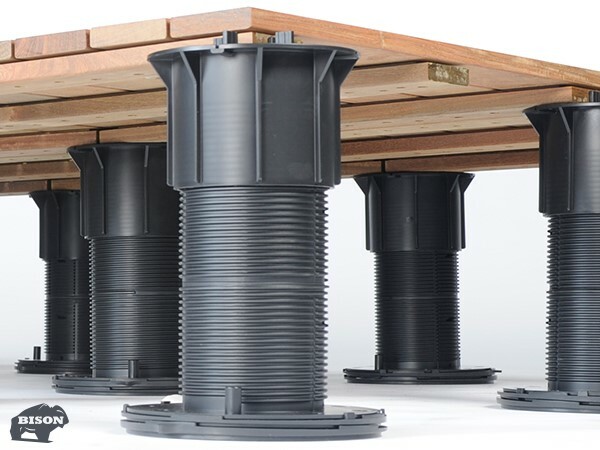 Manufactured in the USA, Bison pedestals offer the design flexibility to create beautiful rooftop decks. Visit us at AIA Booth 4344!